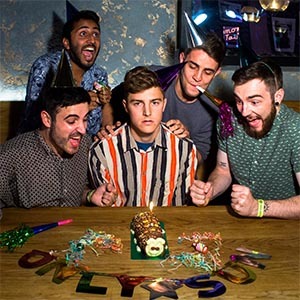 The Mustoes are a five-piece Alternative Pop band from the West Midlands. Despite having a traditional line up, their sound is modern with a heavily electronic character that has been likened to The 1975 and Billie Ellish. Over the past four months they have been at work on their first EP, “Take A Seat In Solidarity” working closely with top producers at Miloco and Abbey Road Studios, London. They recently released their first single, “Twenty”, which received instant recognition and are now promoting their second single which will be available mid April. 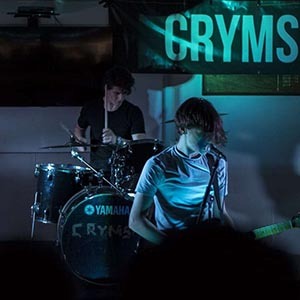 Hailing from Birmingham, CRYMSON are and exciting new indie outfit with an eclectic range of influences from The Smiths to JAWS. Following on from the release of new EP ‘No sense of Brain’, the boys are playing gigs in and around Birmingham, be sure to catch them!